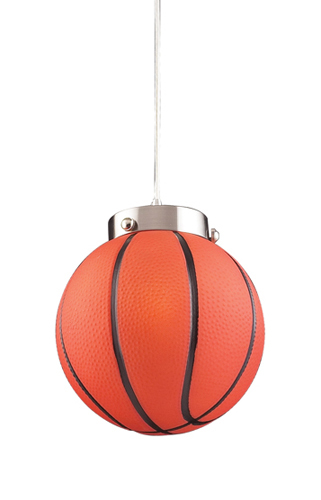 Basketball Ceiling Light for Kids - This basketball theme ceiling light is the perfect finishing touch for any basketball fan's bedroom or sports room. Ceiling light with glowing basketball takes one 60-watt candelabra bulb. Satin nickel finish.